Available from Stardust..Of Course Mi Amor! Un classico senza tempo: tra le lampade d'atmosfera più belle e ambite! 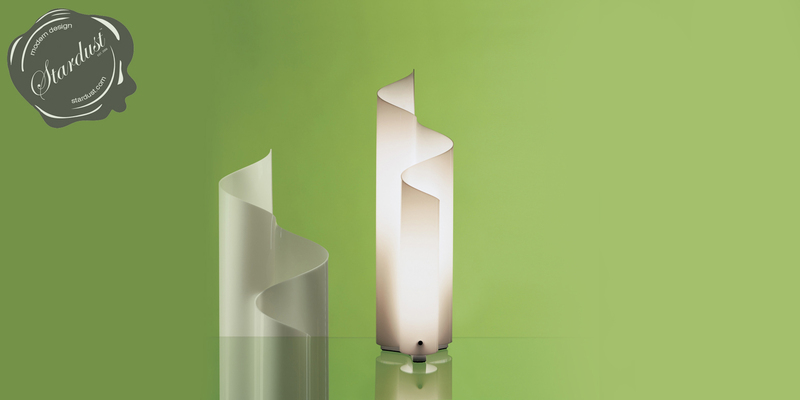 The Artemide Mezzachimera Table Lamp was designed by the prolific Italian designer Vico Magistretti in 1969. Yes, yes, yes! Our favorite table lamp is back! 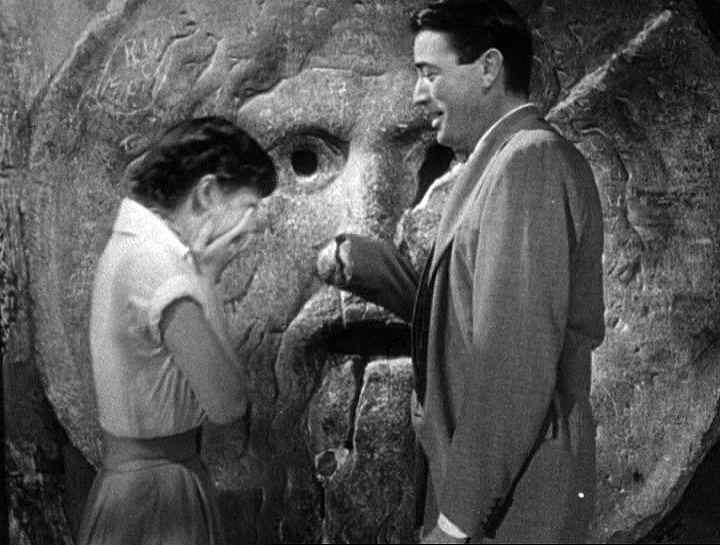 We are serious about the fact that this is really our favorite lamp: we are willing to put our hand in Rome's 'Bocca della Verità' for it! Snip Snap! You see! Nothing happened! Just buy us the plain ticket and we are ready to go! 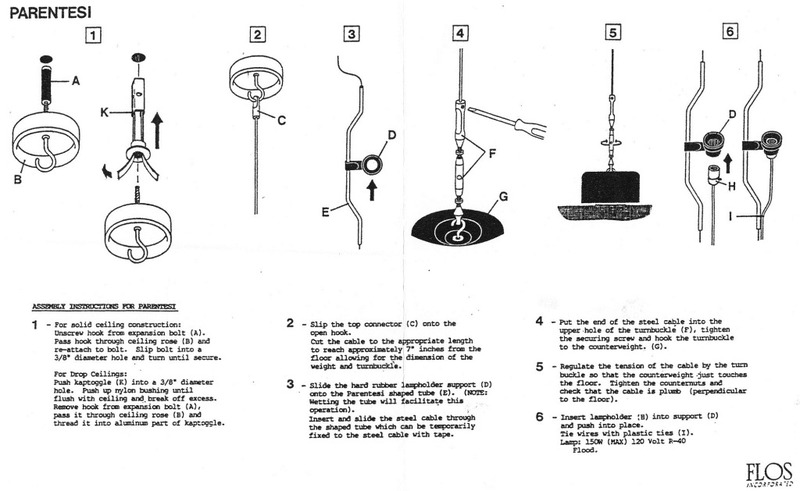 Mezzachimera was one of the first pieces that got us interested in modern design. That's right; it is all about passion baby; that's how we do it at Stardust. Mezzachimera is the classic of all classics! Here's our loving tribute to this most amazing lamp that looks as classy as Audrey Hepburn and Gregory Peck whom, for the record, we equally love. 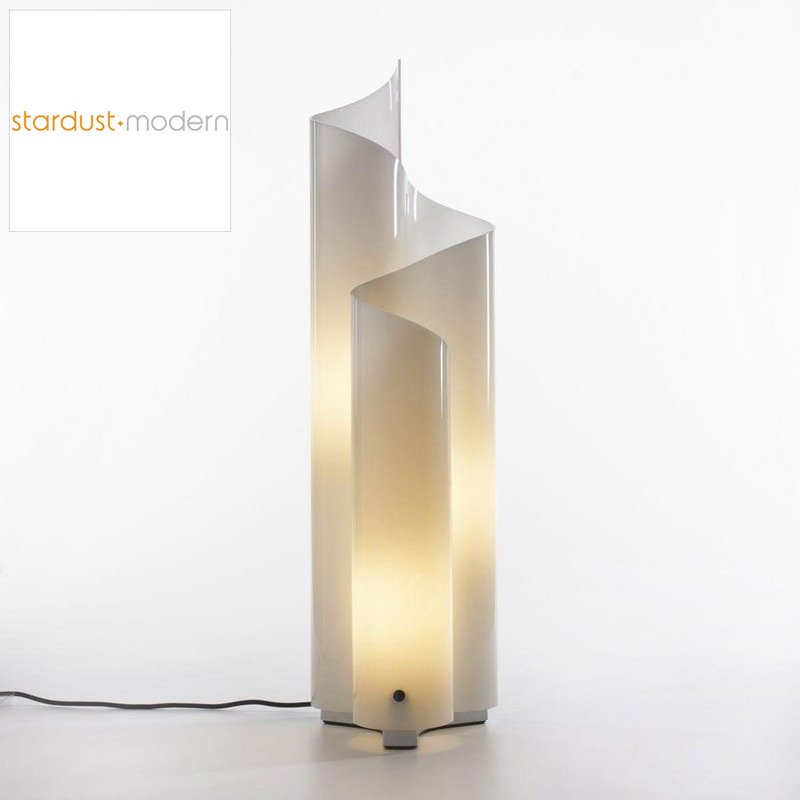 The Artemide Mezzachimera Table Lamp was designed by the prolific Italian designer Vico Magistretti in 1969 and is considered to be one of the most beautiful icons of modern design. Vico Magistretti's iconic Mezzachimera Table Lamp and the larger Chimera Floor Lamp are both symbols of Italian lighting design. 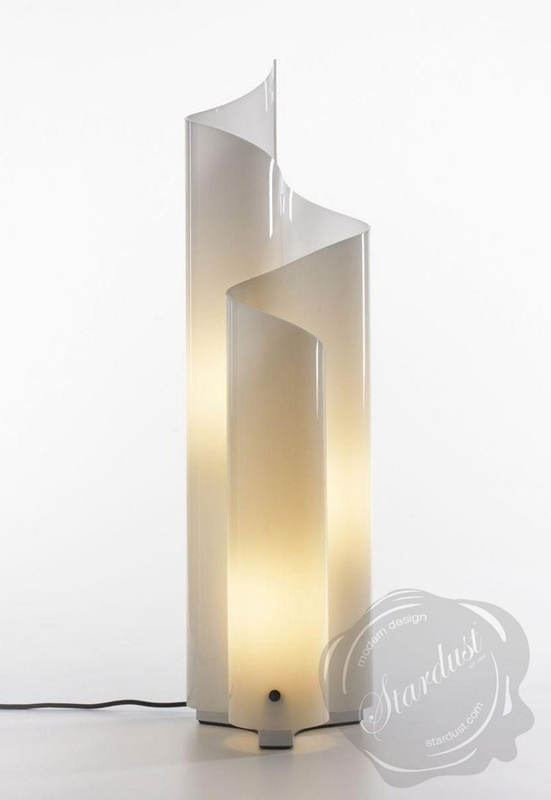 This brilliant table lamp features the signature Vico Magistretti design aesthetic that has made it a stand-out icon of modern design. Mezzachimera presents the perfect fusion between art and light with its gently curved serpentine form. 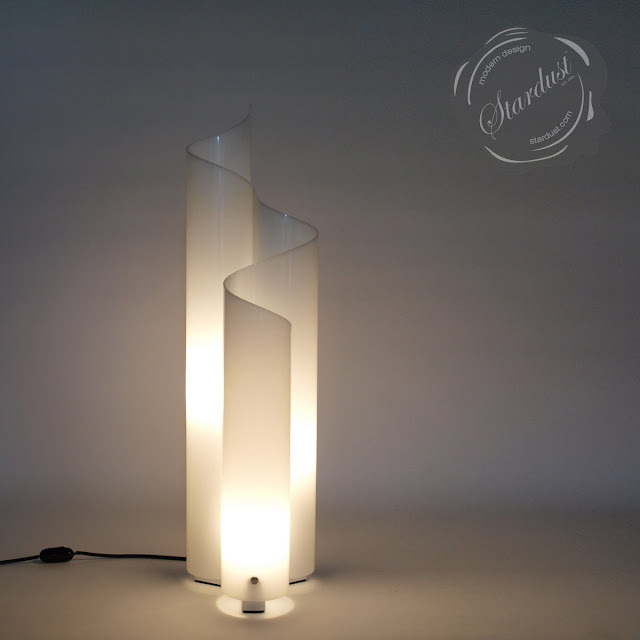 Artemide Mezzachimera: La Lampada Più Bella del Mondo! 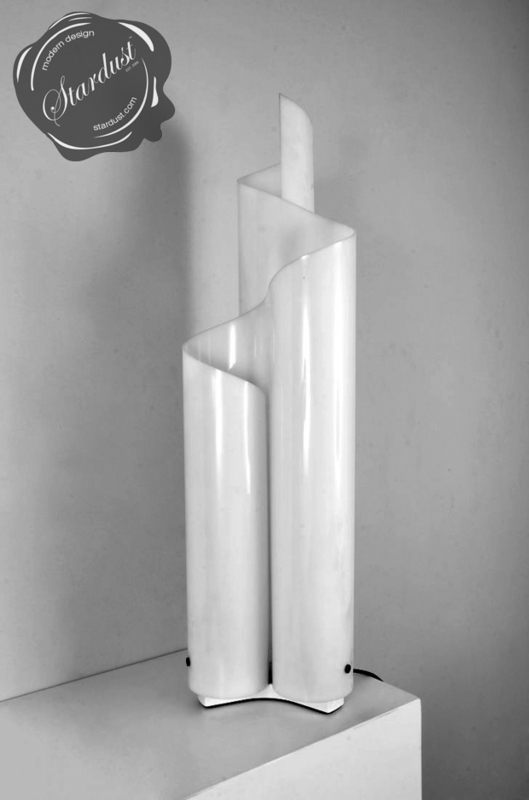 Its metacrylate structure, a column of light resembling a crystal stalagmite, is formed into three curved tubes which are intertwined and raised on a heavy white-lacquered die-cast metal base. 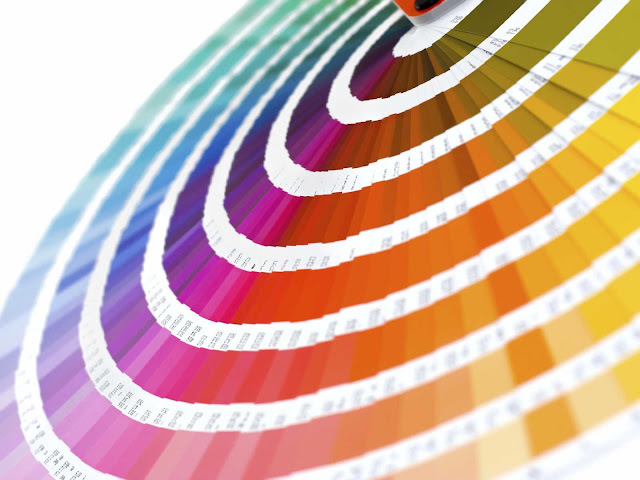 Its fluid and elegantly curved shape gives Mezzachimera a timeless look. 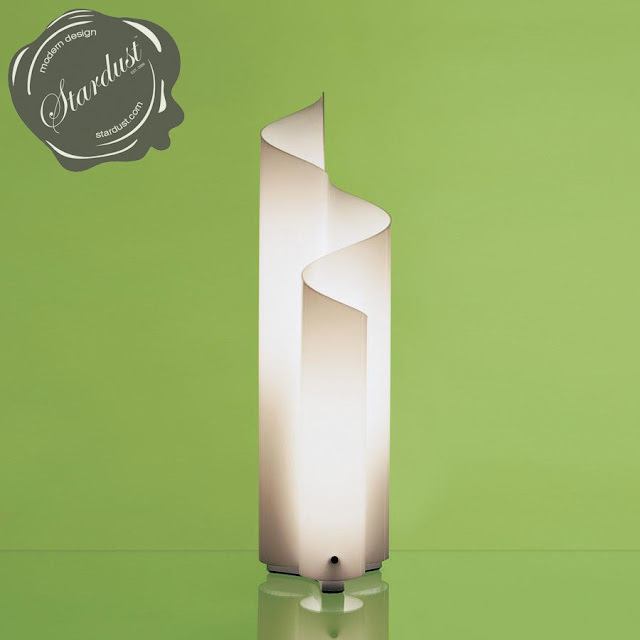 Its sculptural qualities make Mezzachimera a visually stimulating floor light for any space. 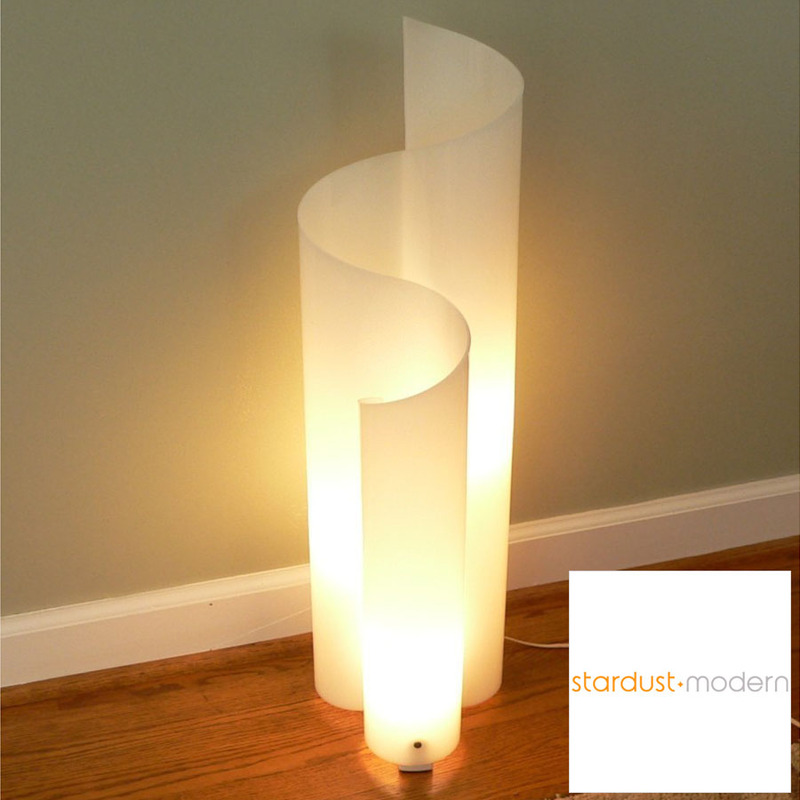 Vico Magistretti's Mezzachimera Table Lamp is a Stardust Staff Pick and is on permanent display in our showroom so come check it out! 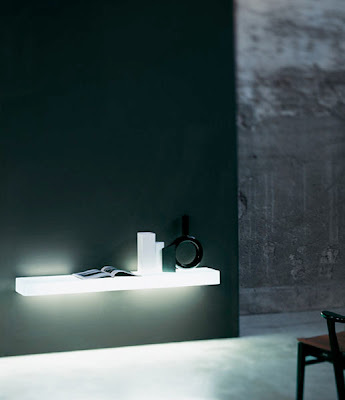 Part of the Artemide Modern Classics product line, made by Artemide in Italy. Mezzachimera; now available from Stardust with Free Shipping and a Low Price Guarantee.